This quote, by Indigenous Australian visual artist, activist and academic Lilla Watson, is the core experience of the Womxn of Color Retreat (WOCR), held October 4-6, 2018 at the historic Franklinton Center at Bricks. Situated in Whitakers, NC, the Franklinton Center acknowledges that it is in an area that has one of the highest poverty and illiteracy rates in the country and is the second largest food desert in the United States. Acknowledging its history of both tragedy and hope, the Franklinton Center pours its resources into caring for its community and expanding its reach. The Franklinton Center’s staff use the center as a place for transformation, hope and continual healing. Starting with its location on land that was once home to the Tuscarora, became a breaking plantation and later transformed into a school, the retreat sought to exemplify how while the horrors of the past affect our futures, we have the ability to transform hurt by dismantling oppressive systems and claiming/creating healing spaces. 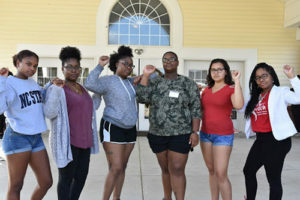 With a complete overhaul from the previous year’s retreat, the 2018 Womxn of Color Retreat boasted a robust new 3-day curriculum with the theme of Developing and Embracing a Revolutionary Consciousness: Awareness Building, Reflection and Actualization. Learning outcomes centered on participants’ ability to assess their own agency, discuss and contribute to the production of knowledge, interrogate institutions and transform critical engagement to create change. 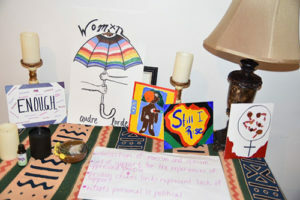 Using womanism as a theoretical construct, the Womxn of Color Retreat creates a community focused on finding meaning, healing, support and trust with the purpose of participants moving towards actualization by creating space for thinking, feeling and evoking change around how they think of themselves as womxn of color within historically white institutions. Of the 32 students who attended the retreat, only three students truly saw themselves as change agents and/or producers of knowledge prior to attending. Many indicated that the retreat was the first place where they felt it possible for them, students of varying academic classifications and degree levels at a research one institution, to be able to produce knowledge and create change in intentional and meaningful ways. Participants rated their ability to explain the following as a result of attending the Womxn of Color Retreat: the interconnectedness of womxn of color, the interconnectedness of all people and how the intersection of identities are connected at the crossroads of historical legacies of institutions and systems. 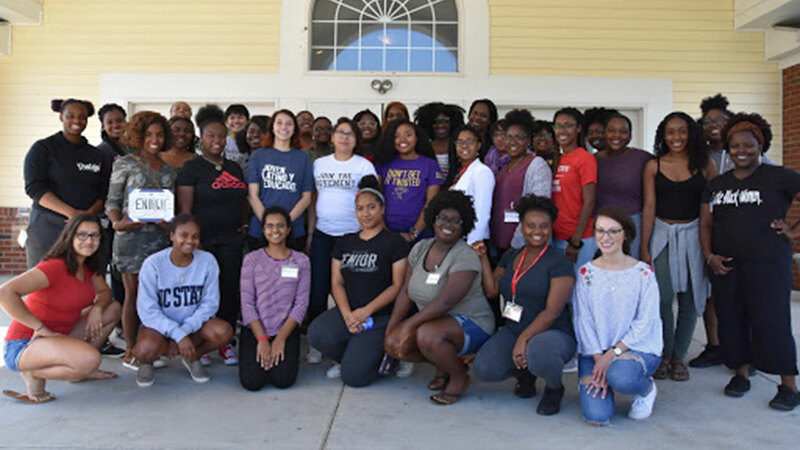 The Women’s Center thanks not only the student participants who made this retreat possible, but also our field facilitators who worked tirelessly to create an experience for our NC State womxn of color. Field facilitators included Kory Saunders, NC State Study Abroad; Bri Hart, College of Textiles; Bri Elum, Housing and Residence Life; Nicky Andrews, NCSU Libraries; and María Tudela, NC State alumna. Additionally, the program would not have been possible without the financial and/or programmatic support from Multicultural Student Affairs and the NC State Counseling Center. If you and/or your department are interested in providing financial support to the Womxn of Color Retreat, please email womens-center@ncsu.edu. 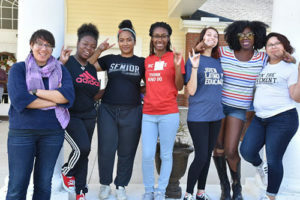 Any self-identified undergraduate or graduate womxn of color, inclusive of cis, trans and gender-queer Latinx and/or Hispanic, Indigenous and/or Native, Black, African, Asian, Pacific Islander, Desi American and those of any multiracial group at NC State can apply for the Womxn of Color Retreat. Angela Gay is assistant director of the Women’s Center.